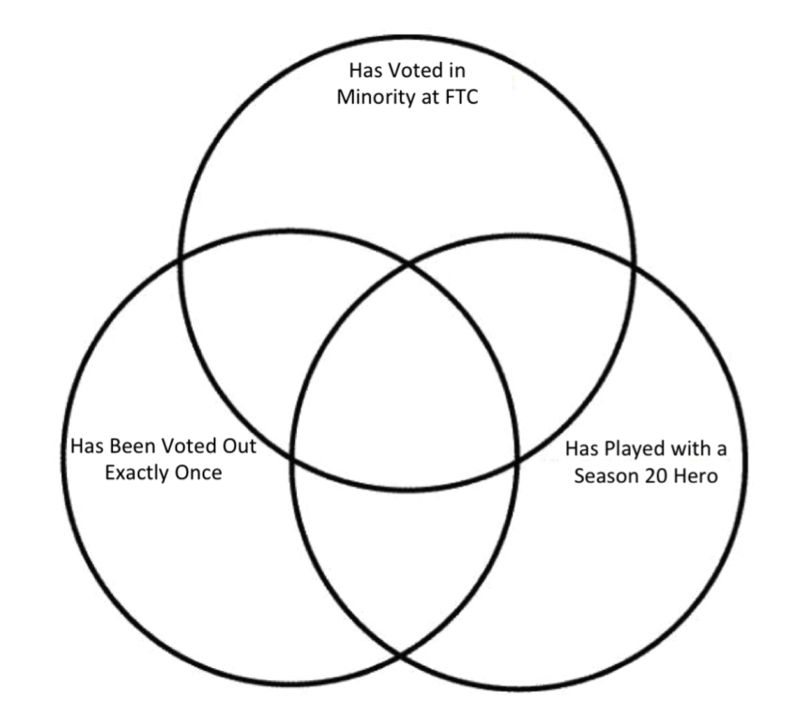 Can you click the most accurate section of the Venn diagram* for each CBS Survivor contestant? In this Venn diagram, the three primary category labels apply to the entirety of the three large circles. Intersecting areas depict presidents for whom two or three categories apply. One contestant does not fit within the diagram so just click anywhere outside of the circles.